Jeffrey Mayhew has had a wide ranging musical and theatrical career in every sense. He has designed and directed well over 100 youth and community performances from devised pieces to grand opera in venues ranging from village halls to the Cottesloe. Musical theatre has included Guys and Dolls, Anything Goes and West Side Story. He has taught widely, running the theatre at Christ’s Hospital, and also in locations as disparate as remote settlements in the Finnish archipelago and closed institutions in Romania where he also trained the first cohort of drama teachers. He has enjoyed a long professional relationship with the Fringe First and Ibsen prize winning writer Julian Garner, directing world premieres of The Kingdom of Children and The Bear Table and the British premiere of A Giant Giant’s Pizza. He directed and acted in Garner’s Cyril’s Little Moments of Weakness and Strength to considerable critical acclaim; the British Theatre Guide placing it in the top five of its five star reviews that Edinburgh season. 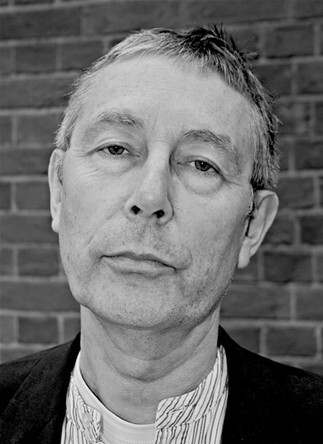 He has recently been very busy as a character actor (Malvolio, Peter Quince and Bashmakin for Practical Productions, Clifford Broughton for Theatre of the Damned) and returned this year to the sell out revival of The Great Gatsby at Wilton’s Music Hall where he devised and lead the immersive element and was repetiteur for the a capella singing. His music has been widely played, broadcast, recorded and published and set for exams both by the ABRSM and Trinity Guildhall.